Expanding your ability to navigate the turns…and the turnarounds! Organizations are simply groups of people coming together to do a thing. Sometimes the thing gets done, sometimes not. Sometimes the pain involved in doing the thing makes us wonder if it was really a good idea to begin in the ﬁrst place. The source of the pain is often conﬂict, disengagement, and/ or lack of adherence to the protocols and practices that are in place to ensure we are successful in doing the thing. All of this can place our futures in jeopardy. All of this can threaten the future of an organization and its leaders. Sometimes people start to plan the leader’s exit — and sometimes they even start looking for their own way out! 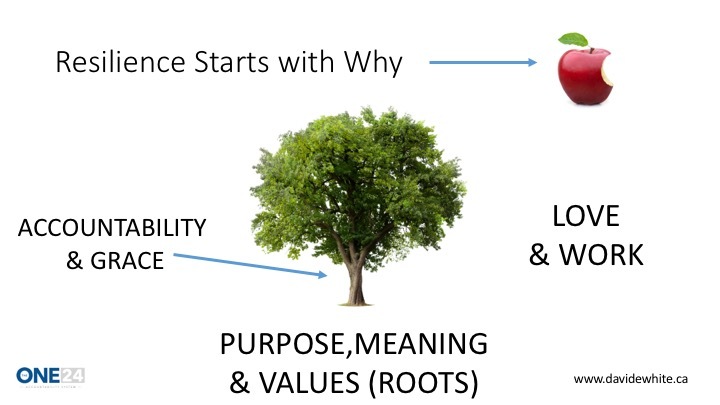 There is a proven way to nurture resilience through corporate culture CHARACTER! It functions less as a program and more as a character development process for the whole organization. It feels less like military-style adherence and more as freedom. It turns the paradigms of “greed and fear” / “carrot and stick” on their head and invites the group to experience optimal performance and individual full-ﬁll-meant, and it harnesses full engagement to do the thing that we set out to do as any group of people. To schedule your free discovery conversation, contact me here. For a downloadable brochure click here. Burnout is a prevalent problem in advanced market economies, and recent economic downturns have created conditions that increase the likelihood of burnout within organizations (Brown and Quick, 2013). A high percentage of our Canadian population rates themselves as having poor mental health, and many of them don’t tell anyone or seek help. The trend is disturbing, and it is debilitating to productivity in the workplace and to joy in life. Relationships can become fractured and conﬂicts arise as our emotional tanks drain. We can begin to lose hope as we come to believe that things will never change. There is a way to ensure that we stay vitally engaged; a way of living that brings hope for the future and power for the present. The adoption of three practical values, which are easy to remember and apply, can serve to keep us resilient as we face the real struggles and challenges of living and working together. 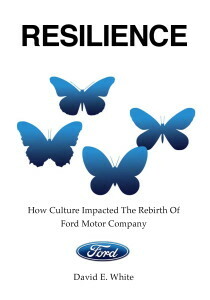 Corporations are comprised of individuals – therefore individual resilience is the foundation for corporate vitality. David can help you and/or your team explore these values and adopt them within your real life situation. 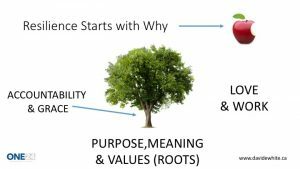 One simple principle encased in a memorable metaphor – huge results in sustainability, impacts, and peace. Ask me what this symbol means, and how the lesson held within can change your life. Book a series of one on one sessions to walk through the application of three key values for resilience at work – all applied within your exact situation. It’s a small investment – with an exponential return. You’ve put a lot of thought into your mission, vision, values, cultural practices and technical protocols – but you are not confident that your team is fully engaged or understands how their job plays into team performance – or maybe its simply time for a review. I work with you to ensure that everyone understands these statements, connects the statements with what they do, and draws inspiration for change and improved performance – fueling passion and fulfillment and the fearlessness and freedom of 100% accountability! Resilience Retreats are available in 1/2-day to 3-day formats. Imagine the diﬀerence within your organization if all were to chart a new course of joy, productivity and fulﬁllment – working more harmoniously with others as ONE! Your journey to resilience starts here!